Bermuda Music Festival is probably the most popular of all the events in Bermuda. Formerly known as the Bermuda Jazz Festival, this is held every year in October for four days. The performers at Bermuda Music Festival are both the local music talents as well as international ones. To give you an idea, Lionel Richie, Smokey Robinson, Kenny G, Chris Botti were some of the performers at the 2007 Bermuda Music Festival. 2008 performers included The Whispers, Solange, Lyfe Jennings, Beyonce, Collie Buddz, Ub40, Aaron Neville and Alicia Keys. This event is so popular that many Bermudians tend to lose interest in their daily work for four days in October when the festival is running. Watching the performance of great stars on stage during the festival is like a dream come true to many. It’s just like music in paradise. A usual venue of the Bermuda Music Festival is the Bermuda National Sports Center, in Devonshire Parish. This is an auditorium of international standard and has all the amenities to hold such music events. The National Sports Center has a capacity of about 7,000 people. The opening night of Bermuda music festival is generally held at The Fairmont Southampton hotel - one of Bermuda’s top luxury resorts. Opening night will generally see one of the well known bands perform, while the last three nights typically see two to three different performers. The show at the Bermuda National Sports Center usually starts at 7 p.m. The opening night tickets cost less than the tickets for the last three nights, and there is just the general admission option for the opening night. On the last three nights, there are several different kinds of tickets available. The Bronze Seating tickets which is the cheapest category and VIP tickets both are sold at pretty high prices. There is also a three-day Festival Pass available if you are planning to attend all the three nights. In this case you don't need to buy three tickets separately. You should book your tickets well in advance if you are planning to join the Bermuda Music Festival. 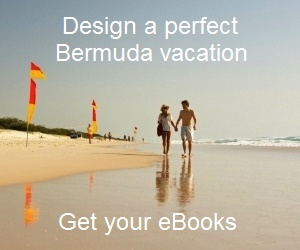 You have the option of buying tickets online at www.bermudamusicfestival.com. You can also purchase tickets by phone at 1-888-909-8881 or even at the gate prior to the shows, subject to availability. UPDATE 2012: Bermuda Music Festival 2012 has been canceled. UPDATE 2011: Bermuda Music Festival 2011 has been canceled. Tourism Minister Patrice Minors stated that the music festival has been canceled for 2011 due to low return on investment. The festival was not attracting enough tourists to justify a spend of about $3 million. 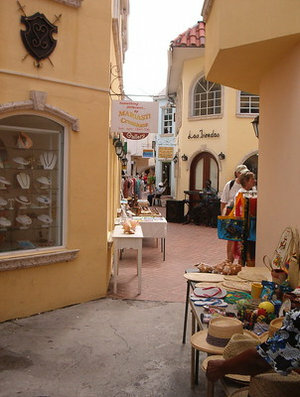 In 2008 and 2009, a total of about 1900 tourists came to Bermuda to attend the Music Festival. It is questionable whether the next year's festival will be revived and will depend a lot on the new proposals by the organizers requiring far lower budgets. Bermuda Music Festival 2010 is held between Sept 30 - Oct 2 in Fairmont Southampton. Stars include Grammy winners like Ziggy Marley, Braxton, Angie Stone, Estelle. 2009 Bermuda Music Festival would be held at the Kings Wharf Dockyard between October 29th to 31st. Quincy Jones and Ne Yo are the star highlights in 2009. The 2008 Bermuda Music Festival showcased performance of the Whispers, Solange, Lyfe Jennings, Beyonce, Collie Buddz, Ub40, Aaron Neville and Alicia Keys. The official on-Island Ticket Outlets is Hamilton Princess & Beach Club, Town of Hamilton. Open 7 days a week from 11:00am to 2:00pm and 4:00pm to 7:00pm. There is an 8 ticket per person limit per performance. Payment is accepted by cash or cards. 1) Check out Bermuda Music and Dance to know about music and dances that are now part of the island's cultural tradition. I began attending the Bermuda "Jazz" Festival in the late 1990s. Back then, I don't know who the organizers/promoters were, but they got it right. It was an eclectic, multi-cultural event that attracted a wide variety of residents and tourists alike bent on seeing both great jazz, R&B and local talent. People of all races, colors, creeds and national origins rubbed elbows and everyone was friendly and had a fabulous time. Then, when the event was suddenly canceled due to the 9/11 attacks, the first year that Keiko Matsui was scheduled to perform, it was never the same again after that. BET was subsequently invited to take over the organization and promotion of the event and they turned it into a largely "people of color" centric event. Caucasians were literally made to feel unwelcome. I went back twice after that, once in 2002 and again when they invited Keiko Matsui back to perform her canceled event. Then I stopped going. It just wasn't fun for me anymore without the welcoming friendliness of the islands as a backdrop to an event which should serve an eclectic group of attendees and all their interests.